In most organizations, the data you have to report to the government exists in systems you are already using. Accounting Systems like Quickbooks Enterprise, Oracle Financials, or Syspro have payments you make to physicians for research. Expense reporting systems like Concur have the General Payments you make in the form of Meals and travel expenses. Our software is designed to easily integrate with these existing systems, either by using Sunshine Act Software in the front and exporting to your accounting system or by importing data from your existing systems into our software. An easy workflow highlights deficiencies in your data and helps you add any missing data the government requires. Sunshine Act Software won't make you reinvent the wheel. If your team is already using a time and expense system like Concur, then export your records to Excel or CSV format and import them. 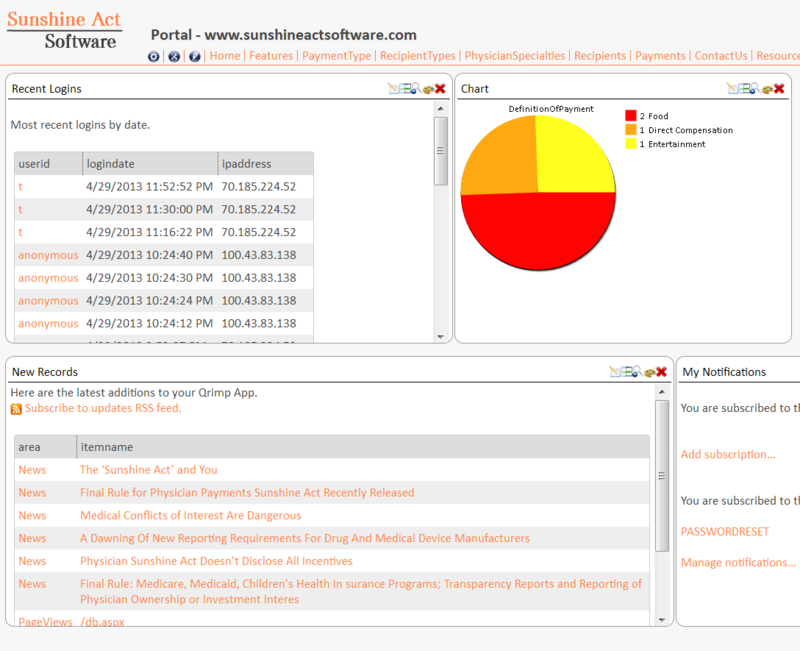 Sunshine Act Software tracks everything you need to get compliant today -- don't procrastinate! Contact Us for a tour. Sunshine Act Software has deep integration with Quickbooks Enterprise. As you probably know, Quickbooks is quick and easy to setup and familiar to many bookkeepers and accountants. Our software can add a more scalable environment for your accounting team to enter and track much of what you're using Quickbooks for today. 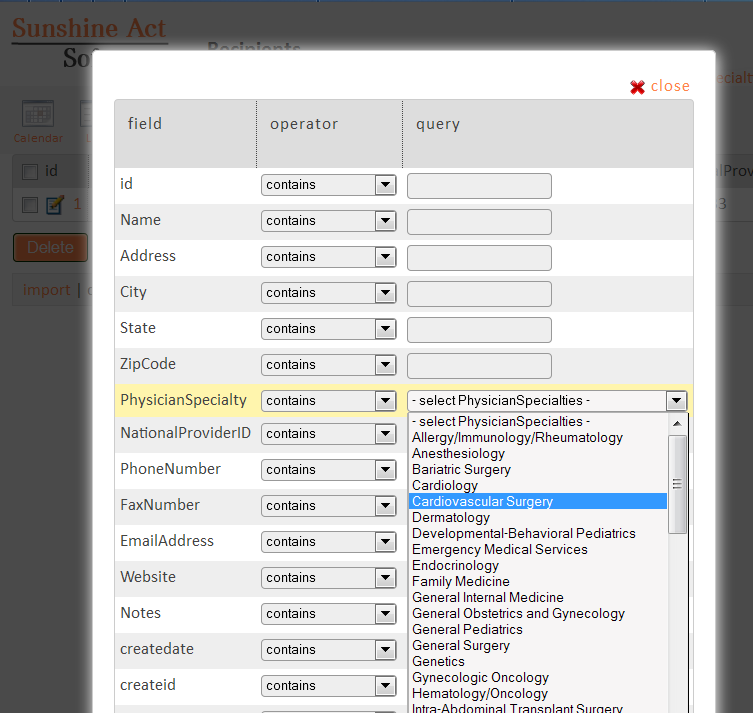 Sunshine Act Software gives your team a web interface to manage accounts, bills, vendors, customers and more. Sales reps can enter expenses directly into our desktop web or mobile browser and your accounting department can export that data into Quickbooks IIF files, Intuit's native Quickbooks import format. Sunshine Act Software + Quickbooks is a powerful combination for fast growing companies because it reduces the workload on the people entering data into Quickbooks. Your sales reps, and other members of the team too, can fill out their expense reports and then just export that data to Quickbooks without having to retype everything from Excel Spreadsheets or paper based forms. If your team uses an existing expense reporting system (like Concur) for Expense Reports, you can export your data from that system and then import it into Sunshine Act Software. Our easy workflow steps you through the process. You can map your existing expense categories to those the government specifies in the CMS Templates. 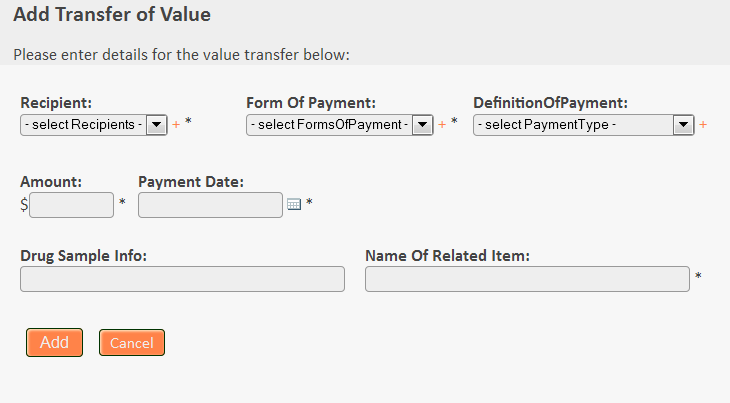 You can see fields that need to be filled out, like City, State, and Country for Travel Expenses. And you can import your Recipients automatically pulling in required fields from the US government's physician registration database. We update our system with the list of physicians and teaching hospitals from the CMS list provided by the government. Everything you need to get compliant is built in, including NPI numbers for physicians & TIN's for teaching hospitals. Enter a little info and we'll search almost 4 Million records for the data you need to comply with the law. We work with the SalesForce experts to medical device companies at Startup \ Rx to streamline the integration of your SunshineActSoftware.com account with SalesForce.com. Easily lookup NPI numbers right in SalesForce and use advanced bulk record management tools to update lots of contact records at once from HCP data you're managing with us already. Synchronize data and keep everyone in your organization on the same page! 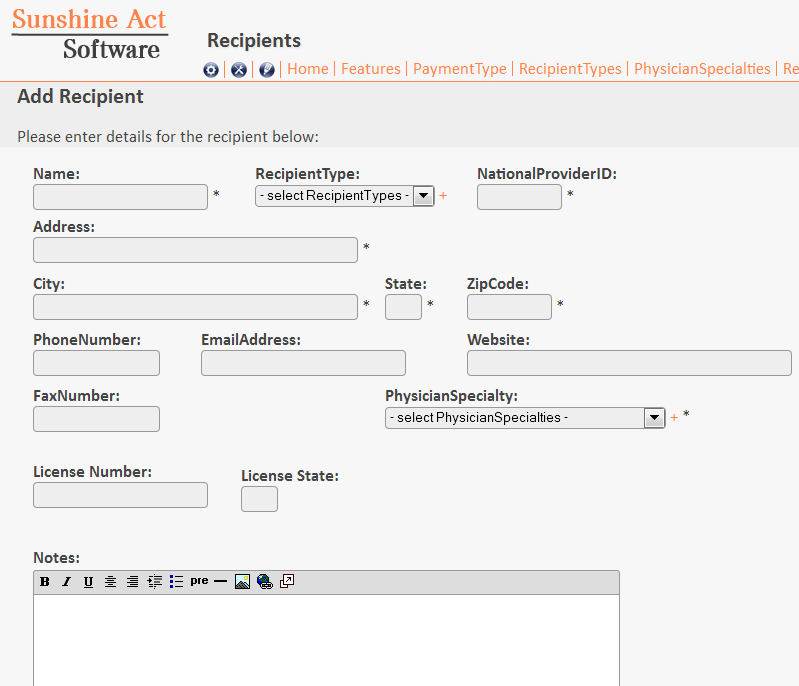 If you'd like to learn more about Sunshine Act Software's features, including some of those below, please Contact Us Today. Don't delay!